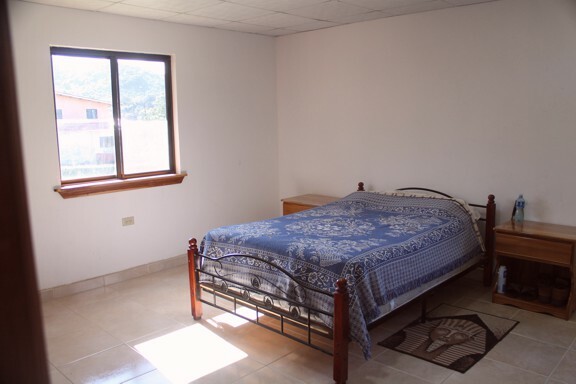 This immaculately clean home is located in the "Eternal Spring" mountains of Volcan, Panama. 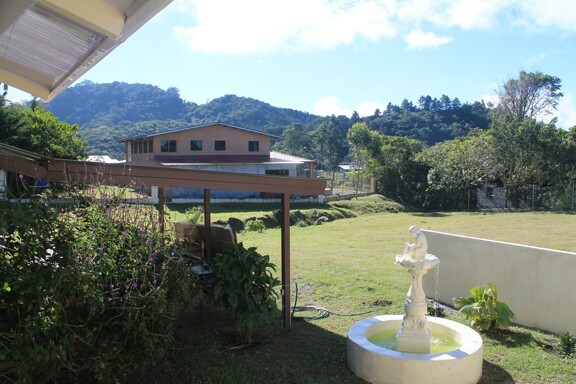 As the name implies this is not hot and humid as you might expect from the tropics, but it's mountain location enables residents to enjoy an almost "Shangri-La type existence. Pictured below is the view from the gate of the house. In the distance is the towering magnificence of the Baru Volcano. 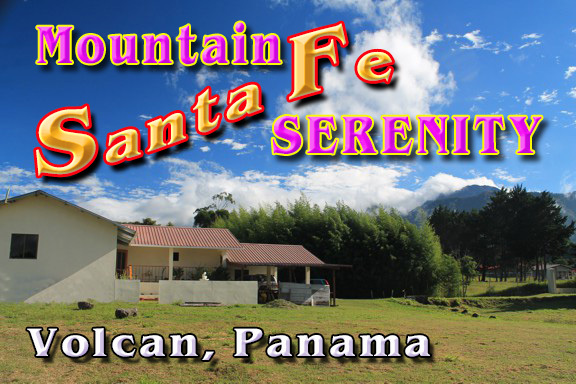 At 11,400 feet it is the highest peak in all of Panama. 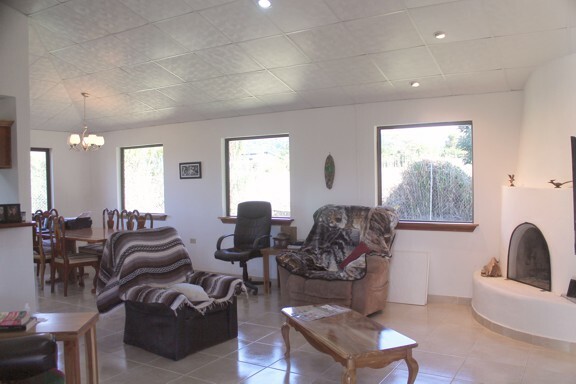 Offered for sale at $180,000 USD, this beautiful 2 bedroom, 2 bathroom home sits on 2,780 square meters of land or 3/4 of an acre. 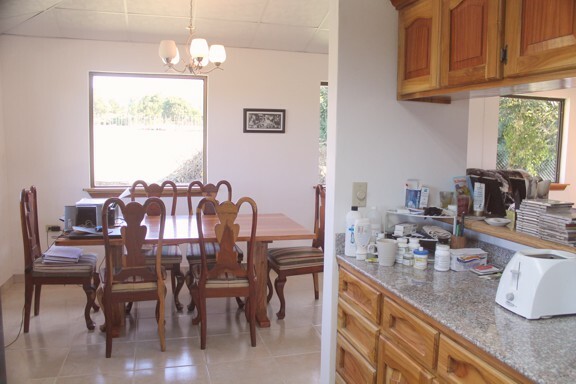 There is ample room on the land to build a second home. In the entrance garden there is an ornamental fountain with a cherub sitting atop. 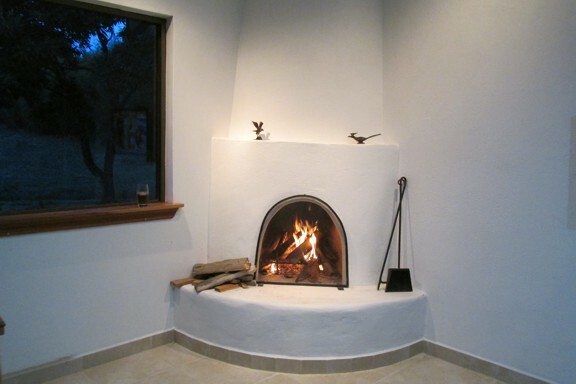 As you enter the main living room to your right is a "Santa Fe "style fireplace. This is one of many features that perfectly describes the style and the ambience of this home. 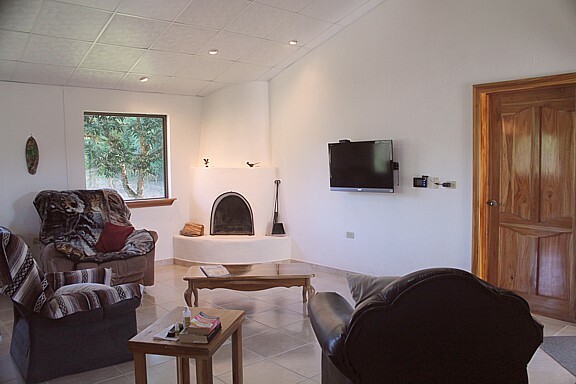 Just imagine on those wet, cool, rainy season nights, how wonderful it will be to curl up in front of this wonderful, real fireplace, with a warming drink in your hand and imagine all of your cares away. 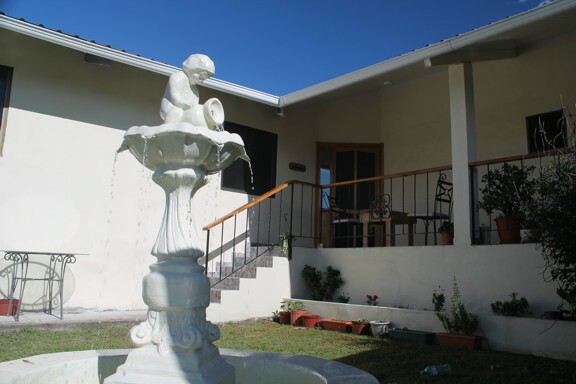 The home is 1215 sq ft, with over 2500 sq ft under roof. 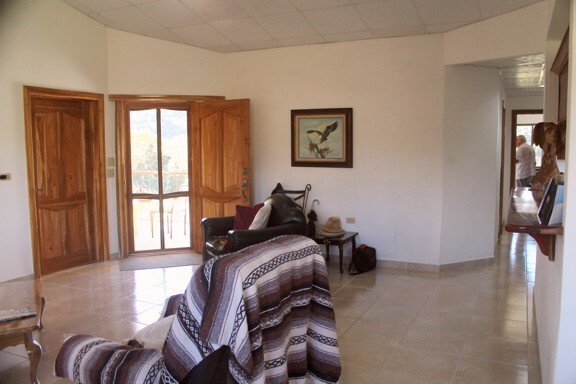 The home is tiled throughout and all the doors and furniture are made from TEAK or local hardwoods. 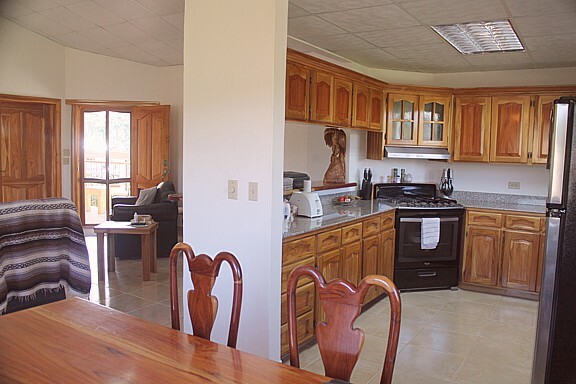 The kitchen comes with a 6 burner stove, a large refrigerator and a microwave. The counter tops are all granite. 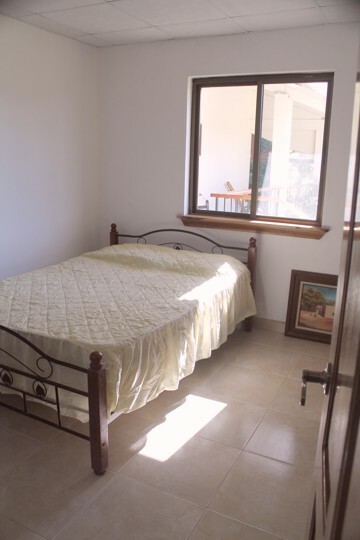 The main bedroom is large and spacious enough to accommodate a king sized bed if desired. 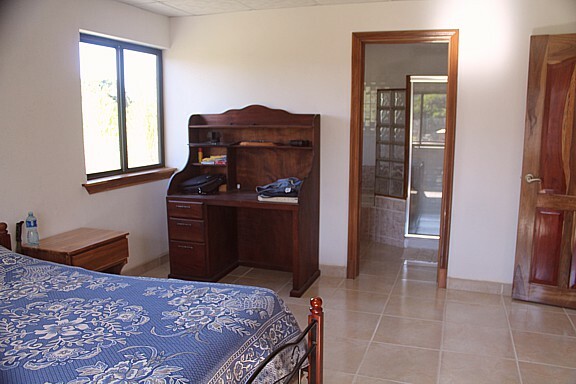 There is a built in closet and the window affords wonderful country and mountain views. 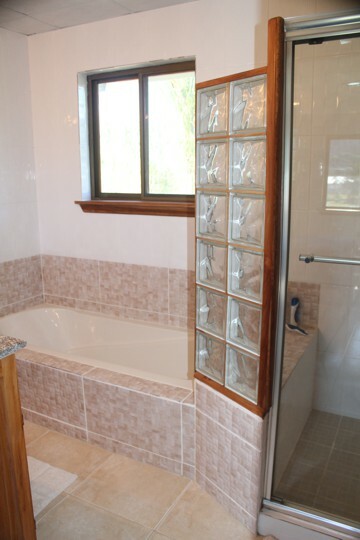 The main bathroom has both a tiled enclosed shower and a bathtub. 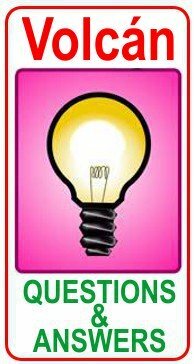 An additional feature is that the home has on-demand hot water. 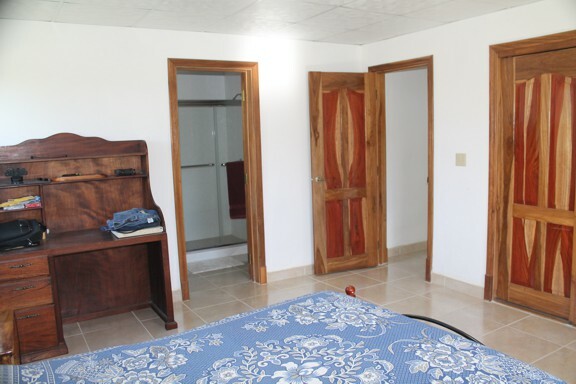 The second or guest bedroom has a convenient shower washroom right across the hallway. 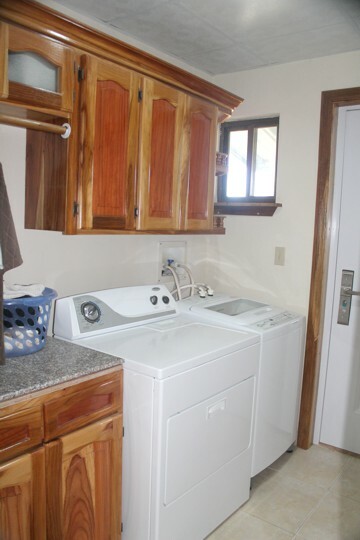 The utility room has both a washer and dryer and storage cabinets. A feature much desired by Panamanians is this outside wash facility. 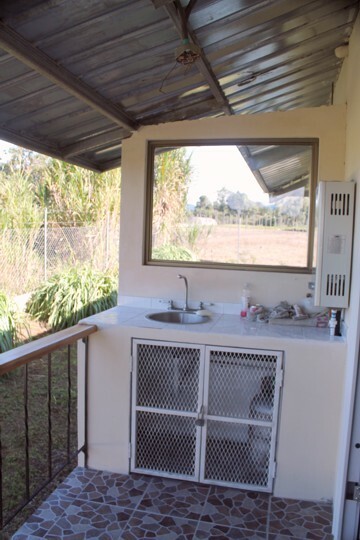 Note the on-demand hot water heater on the wall. A view across the lot to the south shows the neighbours home - so you are never totally isolated. 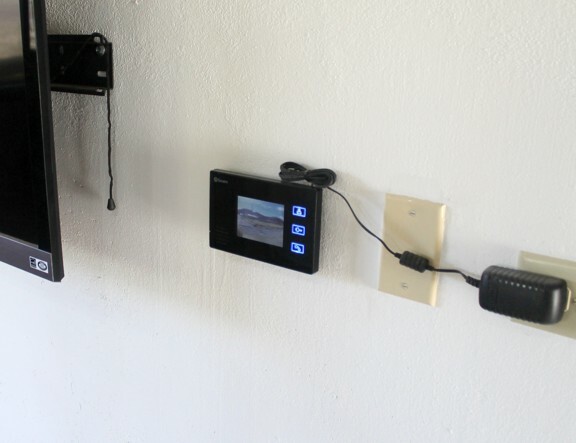 An additional security feature is this remote camera system covering the main gate. So when friends call - you can verify who they are before opening the main gate. Additionally, there is dawn to dusk perimeter lighting. 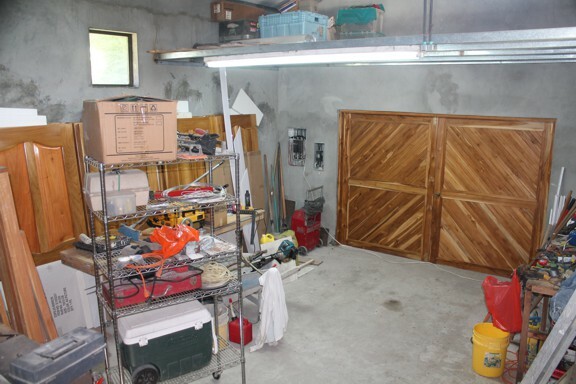 The garage/workshop has these two beautifull hardwood doors. The covered car port can easily accommodate two vehicles. 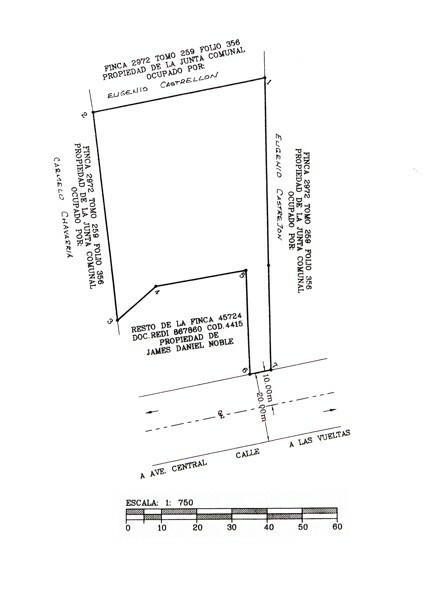 Below is the Plot plan showing the location of the house in relation to the main road. 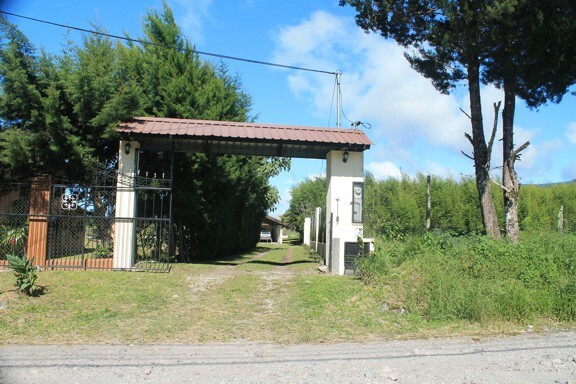 The property is fully titled and secured with a 6 foot high chain link and block fence and the main entrance has a metal gate. 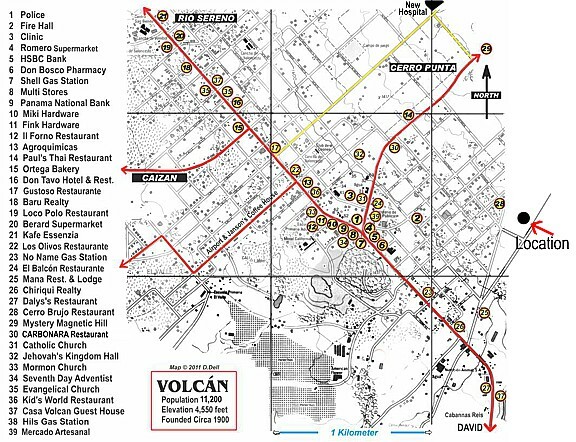 This tourist map of Volcan outlines how close the home is to all the main supermarkets, gas stations and banks. 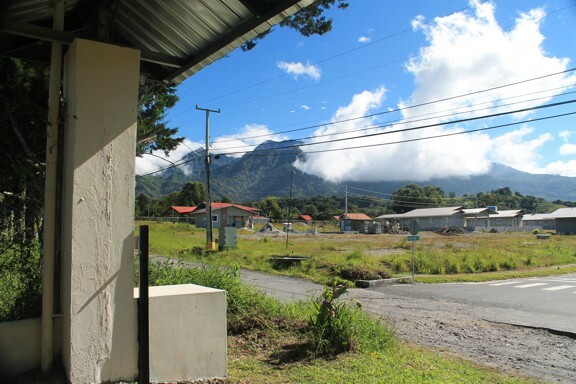 Volcan's premiere hotel and restaurant is just a minutes drive down the road. 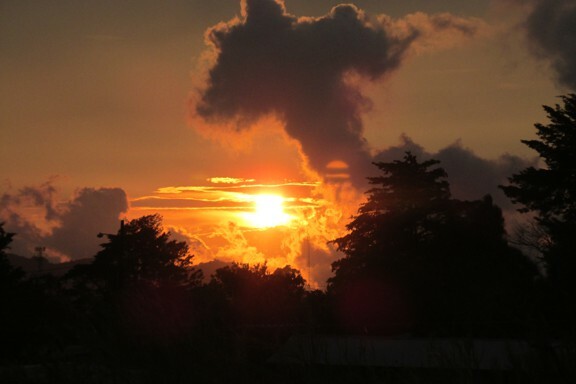 We are not sure whether it is the altitude or simply a unique location, but Volcan experiences some truly awe inspiring sunsets. Also, With no industrial pollution within hundreds of miles to speak of- the clarity of the tropical starlit sky is something we can promise you - will take your breath away. The price is USD is $180,000. 14 supermarkets, 3 hardware stores, three gas stations, two garden supply stores and over thirty places to eat. CABALLO LOCO SALOON. This is Volcan's newest entertainment spot. Regular music from various artists. Don't let the "Saloon" scare you - this is a family friendly place; children are welcome.